When it comes to protective clothing, adverse weather conditions are always a challenge. In many cases, however, it’s not only a question of keeping wearers warm and dry, they must also be visible at all times, especially in difficult lighting conditions. 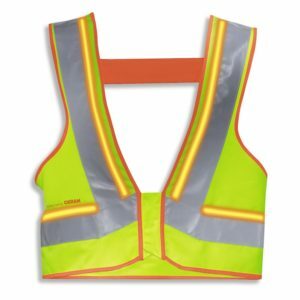 The uvex protection flash hi-vis collection is primarily designed for construction environments and road traffic logistics and relies on bright reflective stripes, highly fluorescent outer material and a self-luminous feature. As part of a pilot project, logistics service provider DB Schenker put this collection through its paces. DB Schenker safety officer Stehn was all ears as soon as he heard about our uvex protection flash wear test. 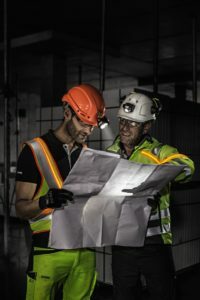 His work life is full of situations in which visibility plays an important role – and where the lighting conditions are so poor that passive safety vests are simply not enough. In a trial run, our self-illuminating 2LL vest (2LL = two optical fibres) was used to make his colleagues at DB Schenker that bit safer when setting up outdoor exhibition stands at NürnbergMesse (Nuremberg Exhibition Centre). Several forklifts and trucks were also being operated alongside the assembly and disassembly teams. The many poorly illuminated areas and completely unlit areas represented a huge safety risk, especially during twilight hours. 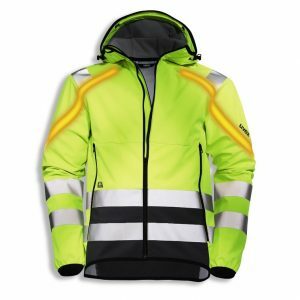 What is the technology behind uvex protection flash? 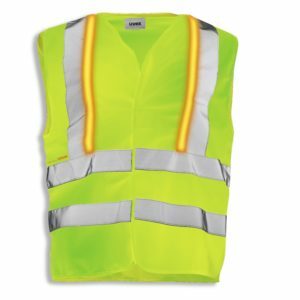 The active lighting of our vests and jackets is down to an innovative LED light guide system, which we developed with OSRAM®. With the optional high-performance lithium polymer battery as an energy source, the system has sufficient power to operate the luminaires for an 8-hour day. All electronic parts are encapsulated as far as possible to prevent any loss of performance or ingress of water. If, under extreme conditions, water does get into the connection between the battery and the lighting system, the wearer is never in danger thanks to the low 5-volt voltage. The light output via the light guides is distributed over a large area in such a way that neither wearers nor those around them are disturbed by any glare or dots of light. As part of the thorough washing test, we also proved that the complete system (all protective clothing including lighting system but excluding battery) can withstand at least 20 household washes at 60 degrees Celsius without any loss of function. We have been selling Uvex products for 2 years now and we always hear positive feedback about the products. The glasses look fabulous on. 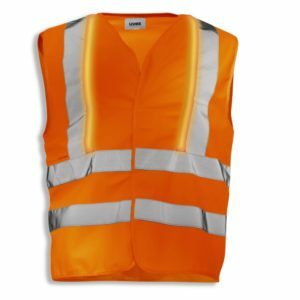 I have to get some of these vests to check them out.